Party Casino is the casino brand that belongs to Bwin.Party, which was formed following the merger between Party Gaming and Bwin Entertainment. The casino brand is not an old casino as it was founded in 2007 but it quickly managed to win the hearts of millions of players from different countries because of its reliability, professionalism and transparency. The casino promises its players an innovative gambling experience that is fun, fair and secure, and the casino succeeds in delivering what it promises. 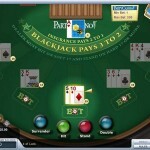 Party Casino is powered by the exclusive gaming content and software of Party Gaming. 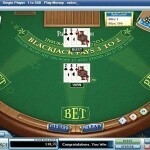 This is why players will enjoy a unique gaming experience at the online casino since these games can’t be found anywhere else. Besides the gaming content, players will enjoy a user-friendly software that is easy to use that even the newest of players can easily go through it to find the games they want. Party Casino is regulated and licensed by the Gambling Control Commission of the government of Alderney. As for the auditing, the casino is audited by iTech Labs on a regular basis so players can be guaranteed a fair gambling experience. Players can also make deposits while having complete peace of mind as all of the transactions and the provided data are encrypted with state of the art protection and encryption systems. 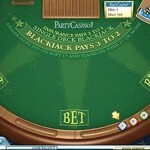 Party Casino is available in many languages so players from around the world can enjoy its services. These languages include French, Spanish, Portuguese, Romanian, English, Japanese, Polish, Dutch and Swedish. There are many games that players can enjoy at Party Casino as the gaming library of the casino is home to hundreds of games of a varied nature. This is why players will find casino slots, blackjack, roulette, scratch cards and progressive games. 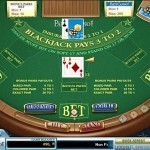 The games are divided into categories and the most entertaining category is the Blackjack gaming category. This category is home to tens of games. These games include Single Deck Blackjack, Bonus Pairs Blackjack, Multi Hand Blackjack, Multi Player Multi Hand Blackjack, Single Player Blackjack and Multi Hand Blackjack Pro. All of the games are presented to players in top-notch graphics and vivid sound effects. Players who just registered an account at the casino will be able to claim a welcome bonus that can amount up to $750. Players will be able to place wagers by using this bonus credit on all of the casino games including the different Blackjack versions.